Shapley?s Original M-T-G formula has provided fast, proven results for over 69 years! Effective at both relieving skin conditions, and promoting hair growth ? the perfect healthy, shiny coat, mane and tail is our specialty! • Quick and Easy Way To Cover Scars, Stains and Enhance Hair Color. • Will Not Clump Or Run Off. 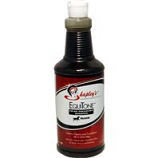 • Safe For Use On Horses, Dogs and Livestock. • Matches Chestnut, Red Sorrel and Bay. • Spray A Light Coat Of Show Touch Up On Area Where Color Is Desired. 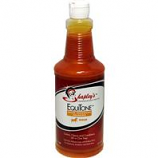 • A Unique Blend Of Silicone and Water That Produces Exceptional Shine and A Lustrous, Healthy Coat, Mane and Tail. 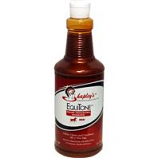 • Formulated To Coat The Hair, It Helps Detangle Mane and Tail and Repels Dirt & Stains. • Spray Magic Sheen On Clean Coat, Mane and Tail. • Apply To Wet Coat For Maximum Shine and Follow Up Misting On Dry Coat For Added Condition and Shine. • Great For Any Skin Problems: Fungus, Rain Rot, Scratches, Sweet Itch, Mane/Tail Rubbing and Growth, Dry Skin, and Bug Bites. • Mane-Tail-Groom Is Safe For Dogs, Cats & Livestock. • Perfect For Cold Weather Use. • For Skin Problems, Apply Directly To Area To Be Treated. • Leave On and Reapply Once A Day Until Skin Problem Clears Up. 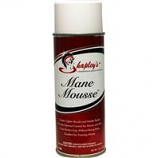 • For Mane/Tail Growth, Apply To Crest Of Mane/Tail Bone and Leave In. Reapply Once A Week For Conditioning and Growth. • Hi Shine Is An Outstanding Shampoo That Gently, Yet Thoroughly, Cleans Mane, Tail and Coat. • It Lathers Into A Rich Foam That Rinses Out Easily. • It Deep Cleans Dirt, Sweat and Stain From Coat and Skin. • Apply A Small Amount To Wet Hair and Work Up Lather. • May Also Be Diluted In A Bucket Of Water and Then Applied. A single step process that adds rich brilliant color as it cleans and conditions. Enhances black tones into the natural color. Leaves hair smoother silkier and shinier. Adds vibrancy and vitality. Rejuvenates sun damaged hair. A single step process that adds rich brilliant color as it cleans and conditions. Enhances gold tones into the natural color. Leaves hair smoother silkier and shinier. Adds vibrancy and vitality. Rejuvenates sun damaged hair. A single step process that whitens as it cleans and conditions. Optically intensifies to brillant white. Removes stains. Adds vibrancy and vitality. Leaves hair smoother silkier and shinier. A single step process that adds rich brilliant color as it cleans and conditions. Enhances red tones into the natural color. Leaves hair smoother silkier and shinier. Adds vibrancy and vitality. Rejuvenates sun damaged hair. Creates tighter braids and neater bands. Provides optimal control for manes and tails. Gives perfect grip without being sticky. Excellent for training manes. . Adds fine light shine. Great for shedding out winter coats. Adds oil to dry coats mane or tail. Safe and effective on dogs too. .
• Ideal For White Socks, Markings and White Horses. • Magic Sheen Is An Unique Blend Of Silicone and Water That Produces Exceptional Shine and A Lustrous, Healthy Coat, Mane and Tail. • Brush In Direction Of Hair Growth. • For Black & Bay Horses. • Removes Stains and Odors Effortlessly. • Great For Spot Cleaning and Cold Weather Bathing As No Rinsing Is Required. • It Cleans, Brightens and Deodorizes All In One Easy Step. • Gently Mix Product To Activate Optical Brightener. • Spray On Coat, Towel Or Brush and Work In Circular Motion. • Safe and Effective On Horses, Dogs and Cats. • Matches Dark Or Black Bay & Liver Chestnut. • Matches Dark Chestnut, Brown & Bays. • Hi Gloss Is A Light Finishing Spray Chosen By The Horse Journal As Their Top Pick. 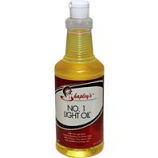 • Great For Adding Highlights, Luster and Shine. • Use Just Prior To Entering The Ring For A Winning Shine. • Spray A Light Even Coat On Mane, Tail and Coat. • Let Dry Between Coats and Repeat Until Desired Shine Is Achieved. • Gently Wipe With Cloth.